Olenders Tight Spot Excavating began in 2001 with a dump truck and a garden tractor. We started out with the simple goal of looking after the best interests of our customers. We're proud to say that this goal remains the same today. Though our modest size company has grown, we're still a small company. 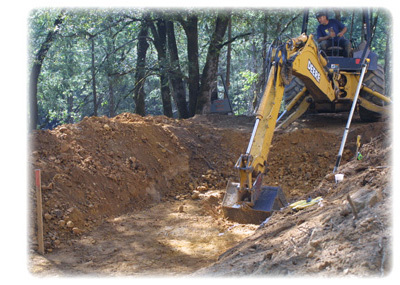 This allows me, as the owner and operator of Olenders Tight Spot Excavating, to be well acquainted with our customers and their individual needs - right where I want to be.